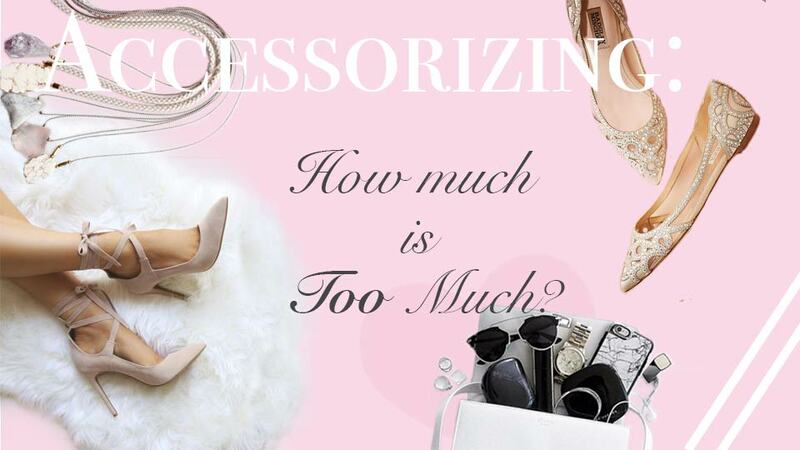 Accessorizing sounds simple enough – we walk into a store and look at the accessory section and find what we really like – what we think will look good with our outfits – but the struggle comes when we start looking at how to accessorize properly! How much is too much – how much is too little? I usually like to start breaking it down piece by piece to help myself figure out how I am going to approach things! I love to pair up a necklace with my outfit when I see potential to spice it up and it feels a little bland – I usually look to find a big statement piece necklace when the dress or sweater is usually a unified colour/shade – i.e. all black or all pink – since it allows the necklace to play a bit more of a role in the overall look! When it comes to watches – this really is becoming more of an accessory than a need. People used to have to wear a watch in order to tell time, but with advances in technology and all of us having cellphones these days – it isn’t really a need anymore…so we have just been starting to look at watches are pieces of jewellery. I always say that there are two ways to sport a watch – sport it in a way where you want it to be the statement piece and for it to stand out – or sport it in a way where you want it to have that classic look – something that you can pair up with almost any outfit – any day of the week. Rings are always ones of those things that I find difficult to assess in terms of – when is it too much – when is it too little – only because I find some people find ways to sport them that actually don’t feel offensive to the eye – what I mean by that is that when I look at the person – I don’t see their rings as disturbing the overall look of their outfit.